Congratulations on coding your Fashion Innovation. Now it's time to truly make this project your own, and customize the design. Scroll down this screen to discover the different Add-Ons you can try to make your project more unique and fun. 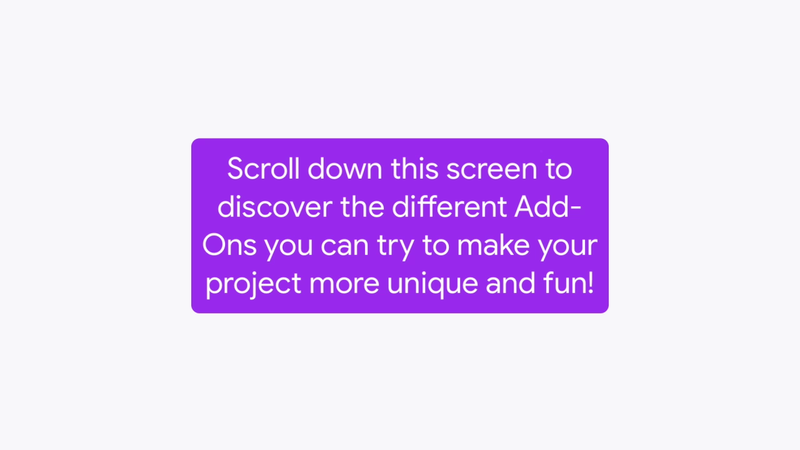 Before you start the Add-Ons, share your project, and add instructions in the Instructions box to tell people how to use it, like describing which keys to press to change the model. Check out the different Add-Ons. Add a clickable sprite that switches music tracks in Fashion Playlist, showcase various fashion trends in More Models, play a sound each time a user clicks on the model's outfit, and Add Sound, program the model to appear on-stage in an exciting way, and Make an Entrance. For a little challenge, Special Effects will show you how to add cool effects to your fashion items. Have fun customizing your fashion innovation.